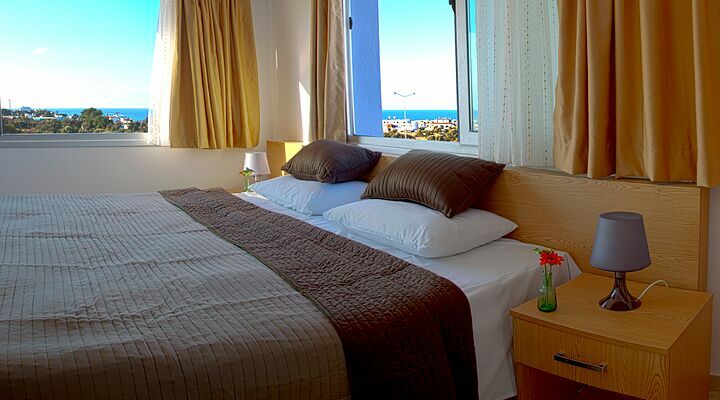 7 Nights from £399 inc Flights, Hotel & VIP Transfers - £259 OFF! 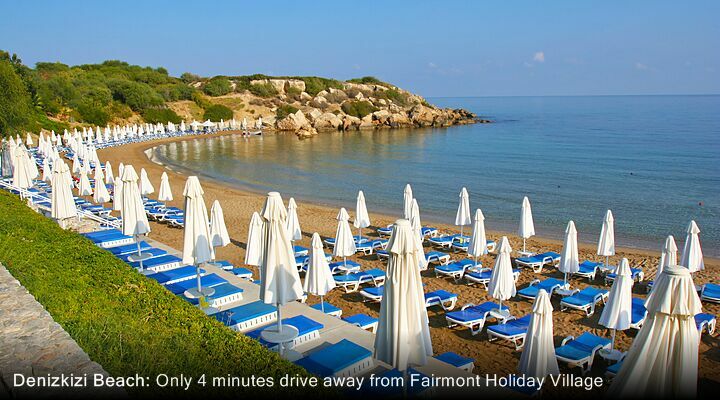 The Fairmont Holiday Village is a friendly and welcoming resort open to all. 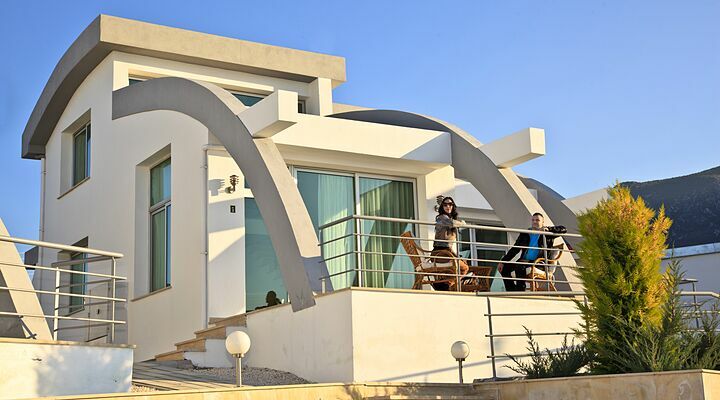 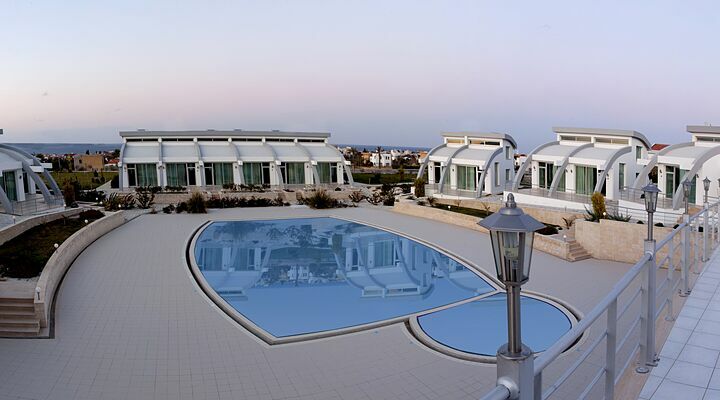 With modern and comfortable villa bungalows in a beautiful setting and true Cypriot hospitality, a Fairmont villa offers good value, ‘designer’ accommodation for your holiday in Cyprus. 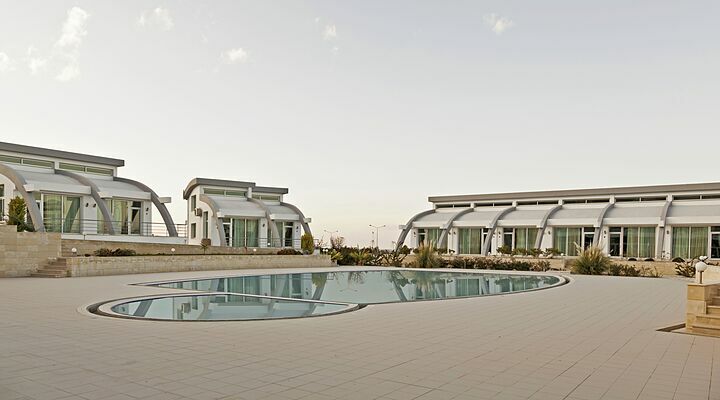 With curving arches, and domed roofs, the mini villas at the Fairmont Holiday Village are unlike anything else in North Cyprus. 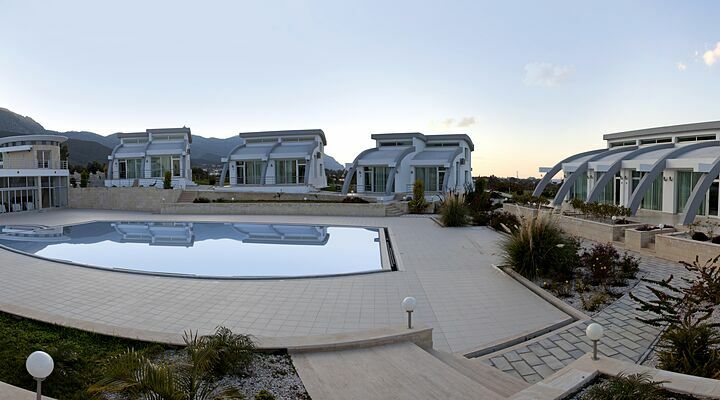 Don't be fooled by the word 'bungalow': these are smart terraced villas designed with minimalist interiors and fittings. 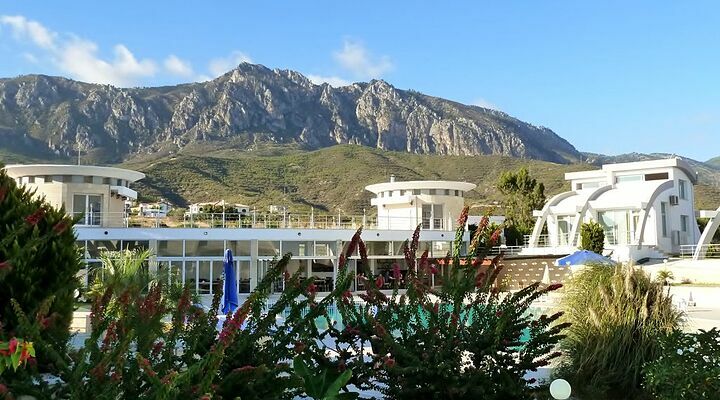 Each of the 18 villas has both mountain and sea views from its own terraced area, including views of St Hilarion castle, perfect for couples who enjoy modern living and stunning mountain landscapes. 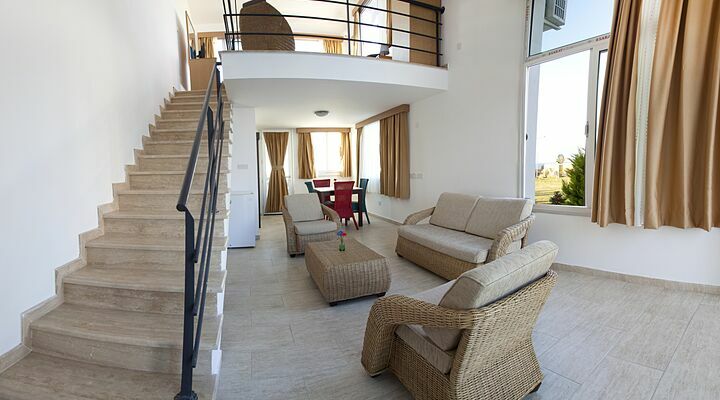 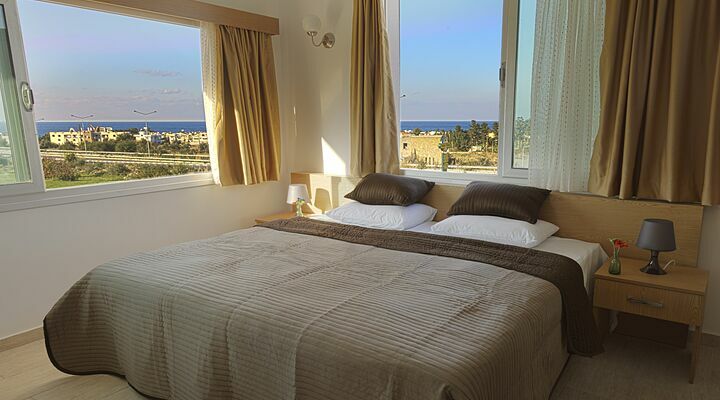 Inside, these chic North Cyprus villas are light, airy, and spacious, with plenty of space to relax in. 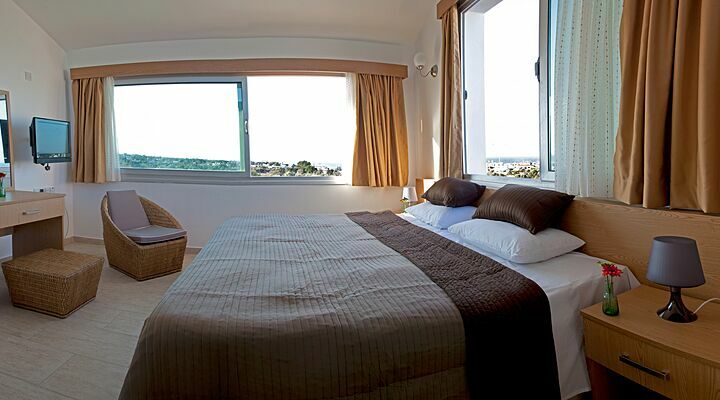 With the living space on the ground floor and a gallery bedroom area above, the open plan design avoids any dark corners or wasted spaces. 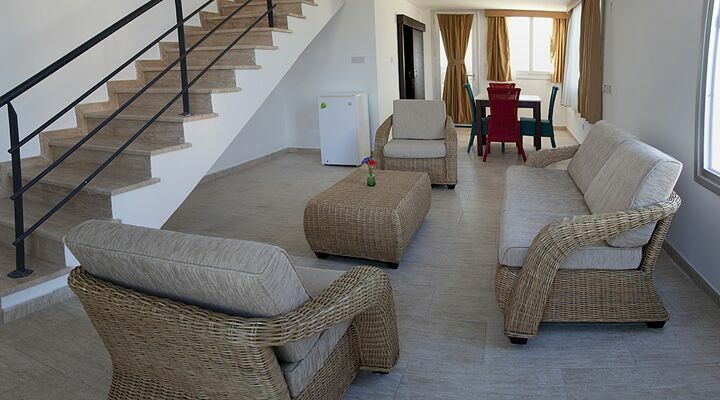 Each villa is beautifully appointed with tiled bathrooms and large windows in the bedroom, plus trendy rattan furniture and a sofa in the living area below. 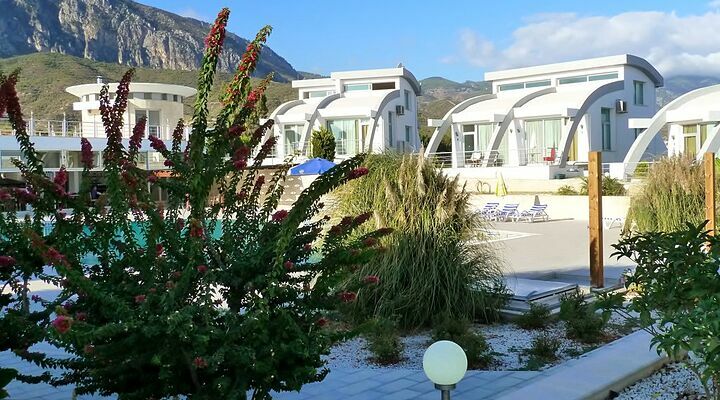 You’ll have all the necessities of a villa holiday, including LCD satellite TV, a fridge, air conditioning and that most vital of 21st century holiday essentials, WiFi. 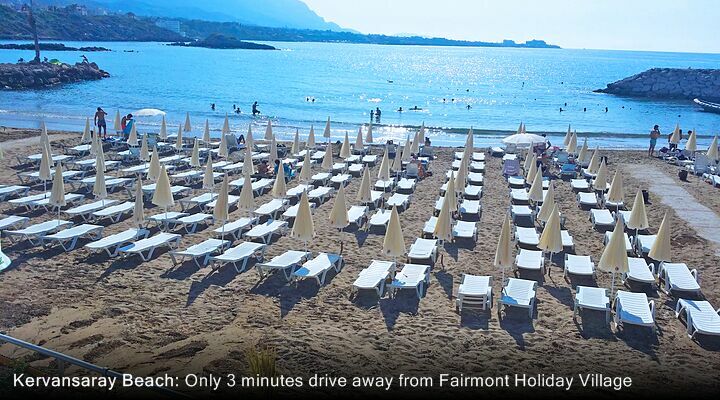 Love the look of the Fairmont Holiday Village? 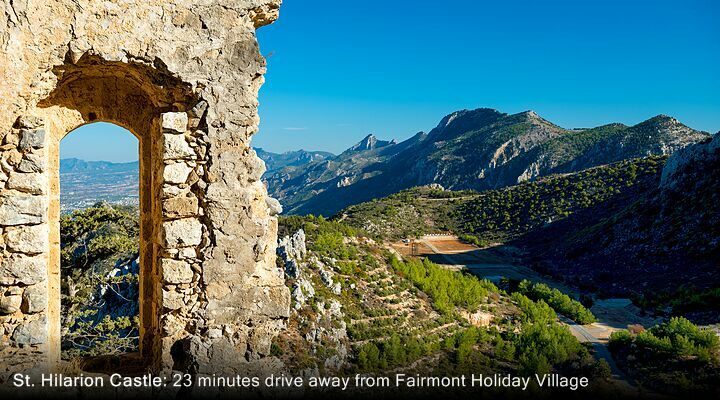 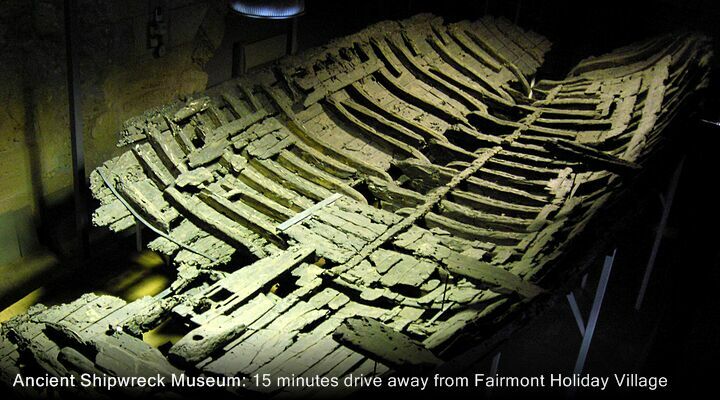 So do we - we've been there and even booked family and friends to stay there! 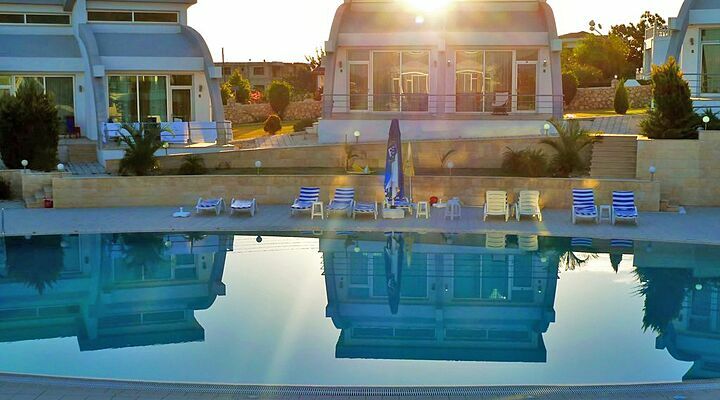 Get our top tips for North Cyprus holidays direct - call us on 0800 616 6600 Monday to Friday 7 am-9 pm, Saturdays 7 am-4 pm, and Sundays 10 am-4 pm. 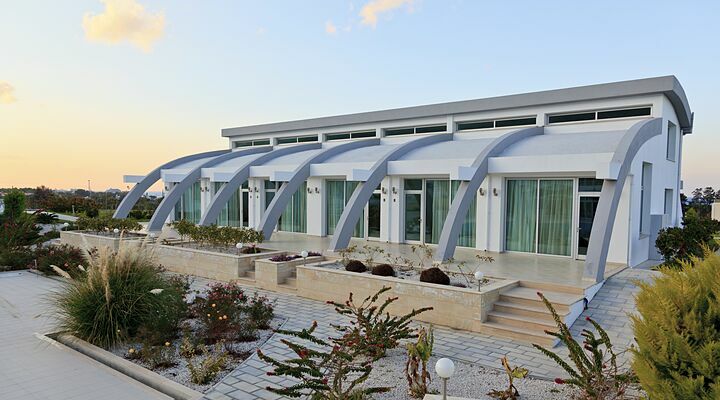 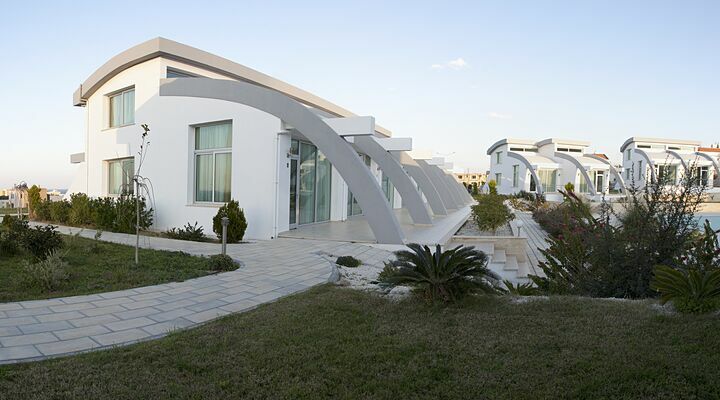 The unusual curved shape of the central swimming pool perfectly matches the sweeping lines of the villas. 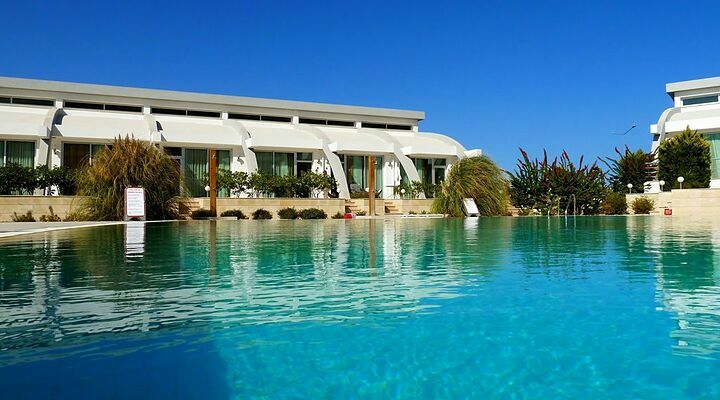 This is one good-looking pool, and with no raised sides, it flows effortlessly into the terraces surrounding it. 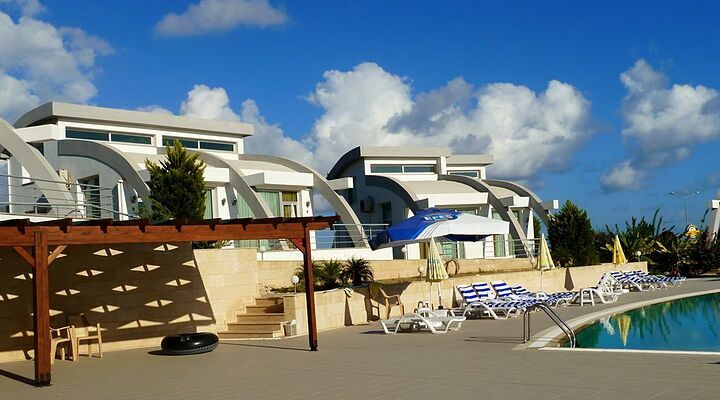 There is a round children's pool that kids will enjoy splashing around in, while you relax on a sunlounger in the 330+ days of sunshine North Cyprus enjoys each year. 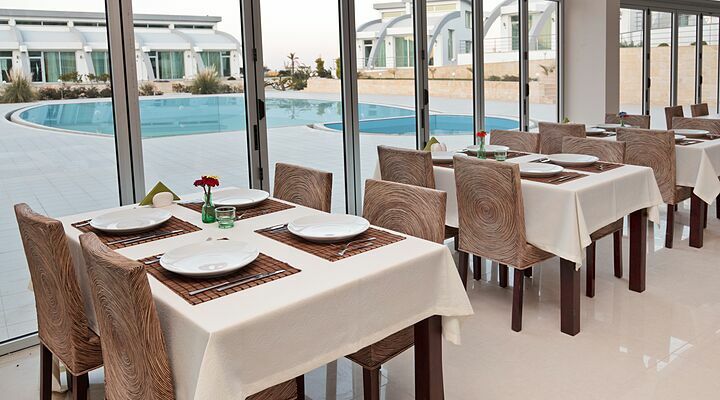 The Fairmont serve a tasty and healthy breakfast buffet in the dining area, with glass doors that open onto the pool area. 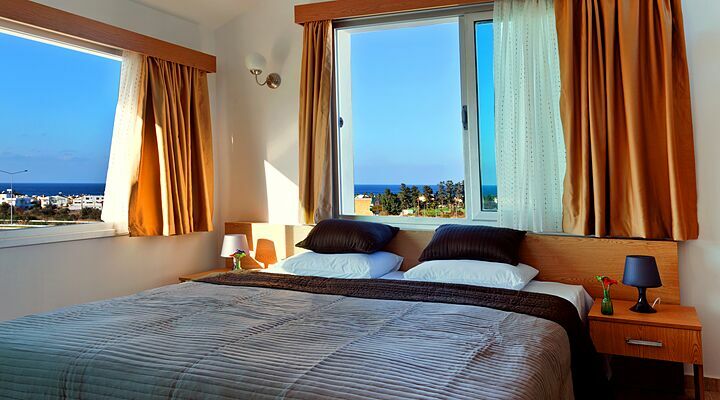 If you don't see what you want, just ask, and the charming owner will do his best to provide it for you next morning. 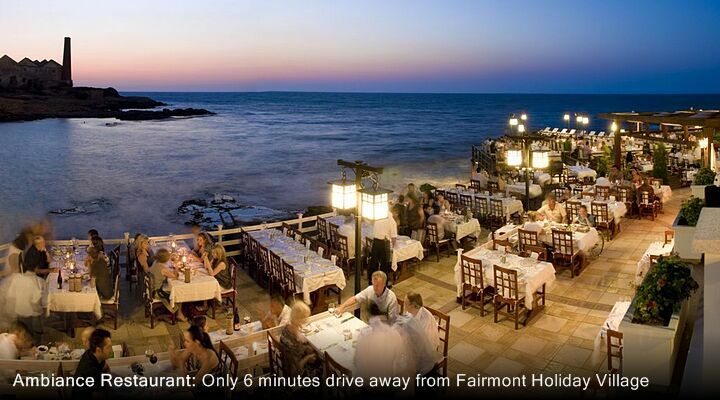 The Restaurant is open in the summer season and on request during the winter. 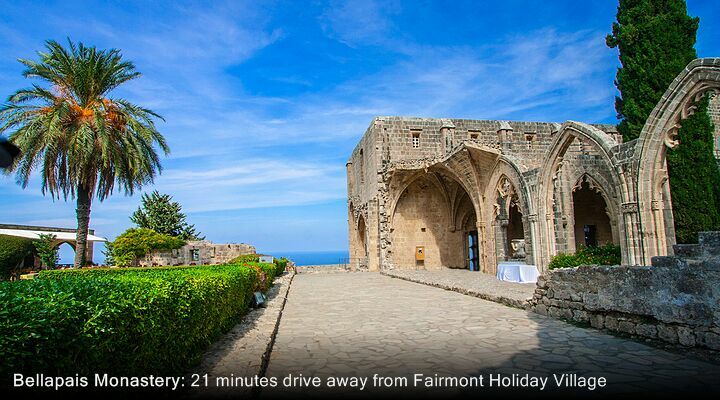 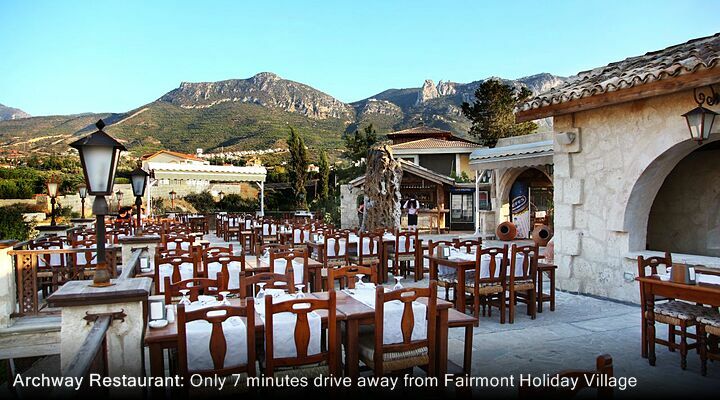 The Fairmont is run by a father and son team who work hard to ensure you have everything you need, from scuba lessons, a round of golf or arranging a paragliding session from the mountains above, to arranging a taxi into Kyrenia. 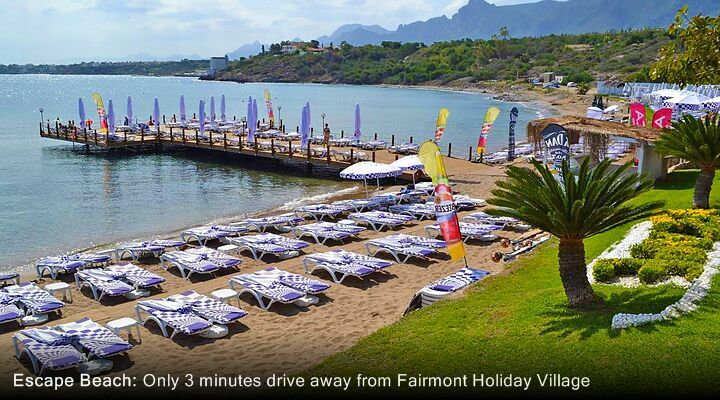 The Fairmont complex is just 1km from two great beaches; the Escape Beach Club with a wide choice of exciting watersports and the Kervansaray public beach. 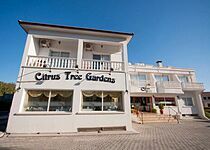 You can walk to Kervansaray in around 10 minutes, or catch a local dolmus (bus) if you've a lot to carry. 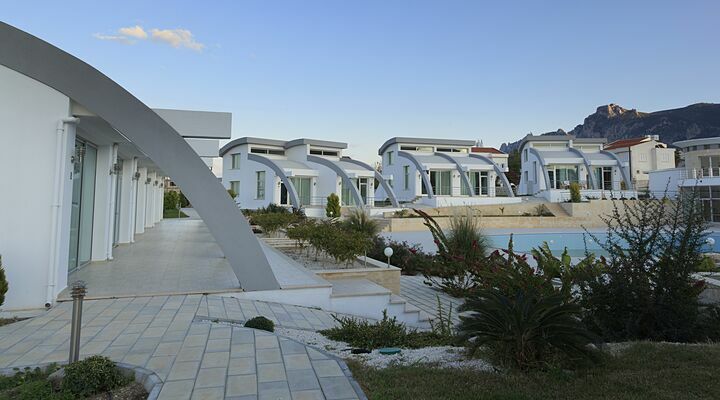 The new bypass road has freed visitors from the traffic jams in and out of Kyrenia that used to blight transfers to and from Ercan Airport. 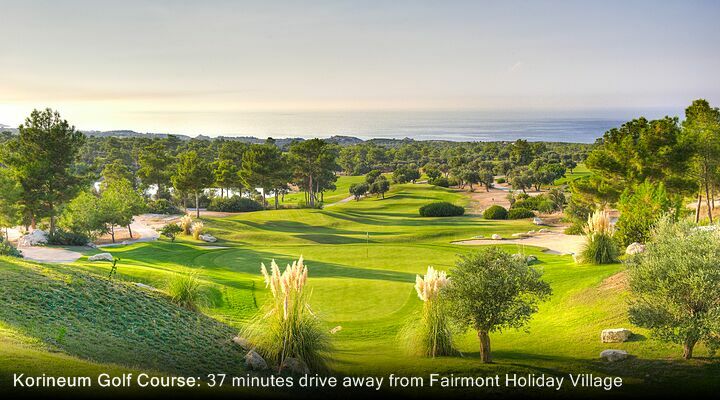 The Fairmont Village is just off this new road, but rest assured that the road will not affect your enjoyment of staying at the Fairmont. 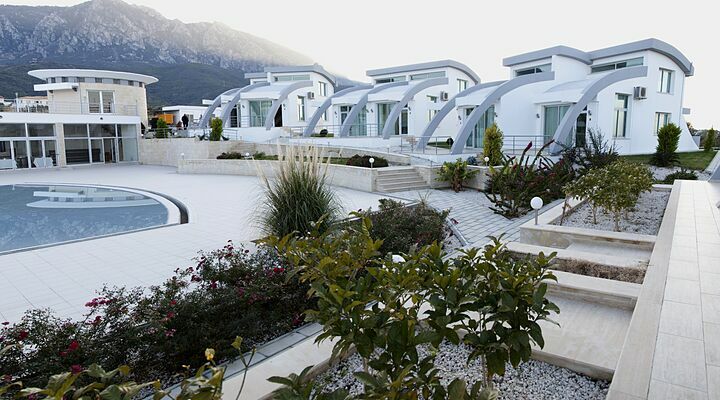 The villas are set back from the road and in such a lovely setting that you neither see it or hear it. 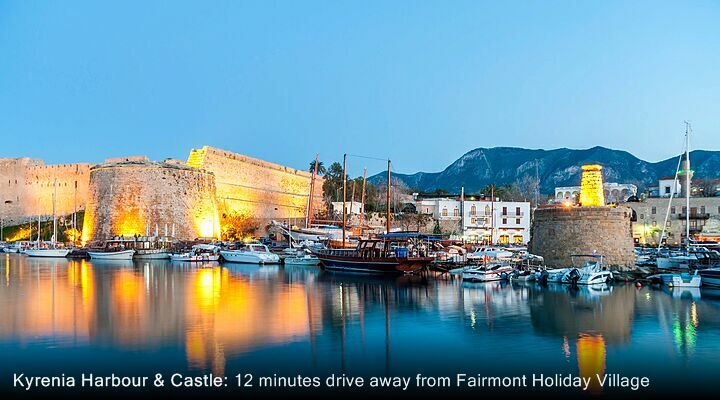 The location also ensure short transfer times from your flight to North Cyprus - around 35 minutes.